Motivation is glorified as a personal trait. While it is beneficial to be motivated, folks who actually manage to get things done are those who find a way to work at whatever they are interested in even when they do not really feel like doing it. “More than those who hate you, more than all your enemies, an undisciplined mind does greater harm,” the Buddha taught as per the Dhammapada. Whatever form of personal character it takes—self-control, dedication, endurance, persistence, resolve, willpower, or self-regulation,—discipline is one of the biggest differentiators between successful and unsuccessful people. The British philosopher and mathematician Bertrand Russell wrote in “On Education” (1926,) “Right discipline consists, not in external compulsion, but in habits of mind which lead spontaneously to desirable rather than undesirable activities.” Discipline is the conscious ability to prevail over distractions, avoid opportunities for gratification, regulate your emotions and actions, overrule impulses, and exert mindful self-control to fulfill your immediate goals and aspirations. Many of the goals you strive for—like losing weight—require you to choose between a smaller but immediate reward and a larger but remote reward. For instance, if you are dieting and are presented with a cake, you face a choice between the immediate indulgence of eating the cake and the more distant incentive of losing weight. Renouncing immediate pleasure in order to reap future benefits can pose an enormous challenge. Research by Dr. Kentaro Fujita of Ohio State University shows that participants who considered why they had to do something were better able to inhibit their impulses when presented with immediate temptations. They also exerted greater self-control and stuck with a task longer than those who thought just about how they could do something. For example, Fujita’s research suggests that if you focus on your ultimate goal of losing weight, you are more likely to reinforce your dieting discipline. You are more likely, then, to indulge in a slice or two of pizza and avoid eating the entire pizza than if you would just try to fill up on salad and avoid eating the pizza altogether. This complements my “cut back, do not cut out” tip for dieting success based on how abrupt deprivation from pleasures often results in guilt and over-indulgence. Idea for Impact: Focus on the ends rather than the means. To build up discipline and self-regulation, keep your goal itself at the front and center of your concentration instead of focusing on how to reach it. Excellent article. Looks like this is written for me. I have seen many people who are considered to be great. What they do is they have a ” Dinachari in Sanskrit” what we call as a daily calendar. Irrespective of their location in the world, they stick to their daily calendar which is based on their priorities. The priorities are arrived at, based on what they want to achieve and their value systems. Finally they end up getting amazing measurable results just because of the number of hours they put on a particular goal. Discipline is the conscious & consistent ability to prevail over distractions, avoid opportunities for gratification, regulate your emotions and actions, overrule impulses, and exert mindful self-control to fulfill your immediate & eternal goals and aspirations. Two words might make it more meaningful – consistent, eternal. See above. Your thoughts please. Venkat, the focus of this article is decision-making in the here and now. You’re right, consistent self-regulation and discipline are attitudes we all strive for all through life. 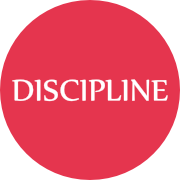 Conscious decision-making in the here and now for the sake of the future = discipline. Thank you! 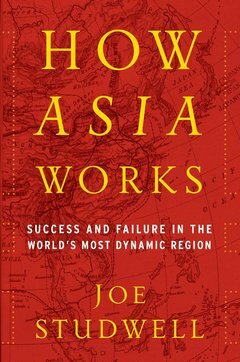 Joe Studwell on how Asia’s post-war economic miracles emerged via land reform, government-backed manufacturing, and financial repression.